Digital magazine version is LIVE! This past week we witnessed a "supermoon" on the West coast. It was a humongous globe glowing in the sky practically inviting you to climb on, it felt that close. July 20 is Moon Day (in some circles), commemorating the day man first walked on the moon in 1969. The moon has inspired humankind from the beginning of our existence and while we might want to watch some documentaries or movies about the moon, there are also plenty of blues songs that make reference to that glowing orb that are worth listening to: "Moonrise Blues" (Lightnin' Hopkins), "Blues On The Moon" (Byther Smith), "Yellow Moon" (Neville Brothers), "Moon Blues" (Otis Spann), are just some with the word "moon" in the title. Then there's "Dust My Moon" (yes, I know it's "broom," never mind). Most festivals are held during the day and many continue into the night. Sure, we love soaking up some music in the sunshine, but soaking up some blues by the light of the moon ... there's something a bit magical about that. Birthdays of note: July 17 Peppermint Harris (1925); July 18 Screamin' Jay Hawkins (1929), Lonnie Mack (1941); July 19 Buster Benton (1932), Little Freddie King (1940); July 20 Carlos Santana (1947), Steve Freund (1952); July 21 Floyd McDaniel (1915); July 23 Tony Joe White (1943). 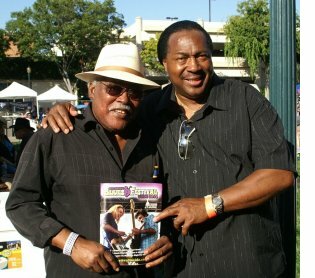 the Jackson Rhythm & Blues Festival, held Aug 15-16, 2014 in Jackson, MS.
Jimmy Burns (lt), one of the Chicago Blues Kings with bassist Felton Crews at Hayward Russell City Blues Festival, Hayward, CA. *Enjoy the 12th annual magazine in digital format now! Want a hard copy? Check with your local blues society, look for one at a blues festival or you can find our magazine order info here. 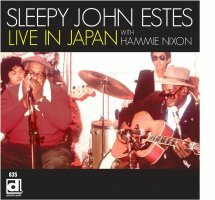 Live In Japan with Sleepy John Estes and Hammie Nixon was recorded in November of 1974 at concerts in Tokyo, Japan, one of the very first tours of that country by a blues artist - preceded only by a B.B. King State Department appearance. The Estes tour was a great success and even resulted in an Estes track appearing on the Japanese Top 100 chart. This CD features spare, live material from the legendary Estes – and though recorded in the mid 70s, it wasn't issued in the US until this year. Tennessee blues poet Sleepy John Estes made his recorded debut in 1929 with the song "Broken Hearted, Ragged and Dirty Too." Three days of world-class music in the heart of Montana's biggest city - Billings. 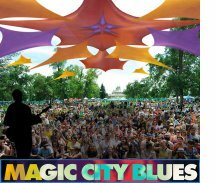 (Billings, MT) - Magic City Blues is a signature annual event for the city of Billings and the state of Montana. Fans from all over the country return year after year to enjoy our world-class music, friendly city and special Montana flavor. This summer we celebrate 13 years and are proud to feature Ben Harper & Charlie Musselwhite, Huey Lewis & The News And Jonny Lang. On August 7th we kick off the Fest at the finale of the St John’s Summer Concert series with the band Cornmeal. (Pittsburgh, PA) - The 20th Annual Pittsburgh Blues Festival will be held July 25-27 at Hartwood Acres Park in Pittsburgh, Pennsylvania. Dr. John, Bernard Allison, JJ Grey & Mofro, and more take the stage to help fight hunger! The Pittsburgh Blues Festival is Greater Pittsburgh Community Food Bank’s largest annual event, raising over $2 million to fight hunger over its nineteen years. The event also features food and merchandise vendors and a KidZone with arts and crafts, nutrition education and games. 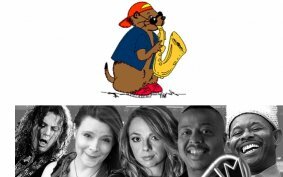 (Prairie du Chien, WI) – The Prairie Dog is one of the most laid-back blues festivals out there! This year's July 25-26 festival features: Big N’ Tasty Blues, Howard & The White Boys, Big James & The Chicago Playboys, Samantha Fish, Ori Naftaly Band, 88 M.P.H., The Cashbox Kings, Jimmi & The Band of Souls, Lil’ Ed & The Blues Imperials, Carolyn Wonderland, Anthony Gomes, and the Lionel Young Band. Tickets and camping are available by calling 1-888-567-1567 or online. Information on accommodations can be found here or call 800-732-1673. 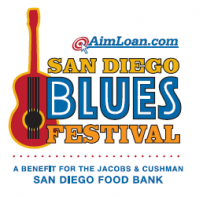 (San Diego, CA) - The fourth annual AimLoan.com San Diego Blues Festival will feature Eric Burdon & the Animals, Elvin Bishop, Tommy Castro & the Painkillers, Lazy Lester and a dozen other acts on Sept. 6-7 on the downtown San Diego waterfront. 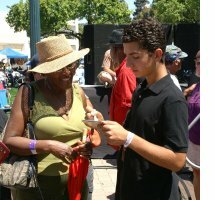 The event features two stages with rotating acts from noon to 8 p.m.
Tickets are available for the event online at www.sdbluesfest.com. Single-day tickets are $15 and weekend passes are $25 if purchased before July 31. Single-day VIP tickets are also available for $100 and weekend passes for $150. All proceeds from the event benefit the Jacobs & Cushman San Diego Food Bank, which supplies food each year to more than 320,000 people. 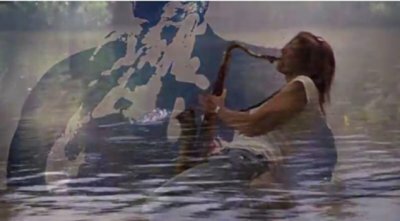 (Waupaca, WI) - The history of the Indian Crossing Casino will come alive this fall at the Chain O’ Lakes Blues Festival slated for October 3rd and 4th on the shores of the beautiful Waupaca Chain O’ Lakes located in central Wisconsin. 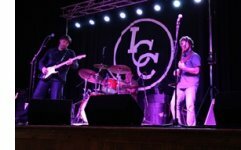 The festival line-up includes Howard “Guitar” Luedtke and The Jimmys’ on Friday night and Paul Filipowicz, The Blues Disciples, Jim Liban with Joel Paterson and Tweed Funk on Saturday. Tickets are available in advance online or by calling (888)417-4040. For almost 90 years, the Indian Crossing Casino has served as an entertainment, not gambling, establishment on the shores of Waupaca’s beautiful Chain O’ Lakes. We attended the Hayward Russell City Blues Festival over the weekend of July 12-13, and it included so many memorable moments and so much talent that it is hard to nail down all the highlights. On Saturday Ray Goren & the Generation Blues Experience wowed the crowd. Ray is fourteen and formed the Generation Blues Experience with seasoned blues vets Jamie Powell & Sammy Lee. Ray's guitar playing is phenomenal and his vocals are strong and smooth. Watch for this upcoming star. Bassist Felton Crews led the Chicago Blues Kings into Hayward and gave us a taste of Chicago blues featuring award winning soul-blues guitarist, singer/songwriter Jimmy Burns and singer Willie Williams. Prebook LRBC 25 "Big Easy Fantasy" Oct 24-31, 2015 NOW! Prebook now for the LRBC 25 "Big Easy Fantasy" Oct 24-31, 2015. Go Bluesin’ with 20 plus bands and 1800 of your closest music friends from Ft. Lauderdale to Key West (Fantasy Fest Finale), New Orleans, LA, and Cozumel, MX on the Holland America ms Westerdam. $250 deposit per cabin holds your space in line to book a stateroom once the artist lineup and pricing details have been announced. You will receive the announcement likely in November with instructions on how and when to reserve your cabin. Your deposit is fully refundable up to 30 days after the announcement is made or until you select your cabin. Need help creating and account or accessing the reservation system? Email Bluesin@BluesCruise.com and/or visit this page on the website. 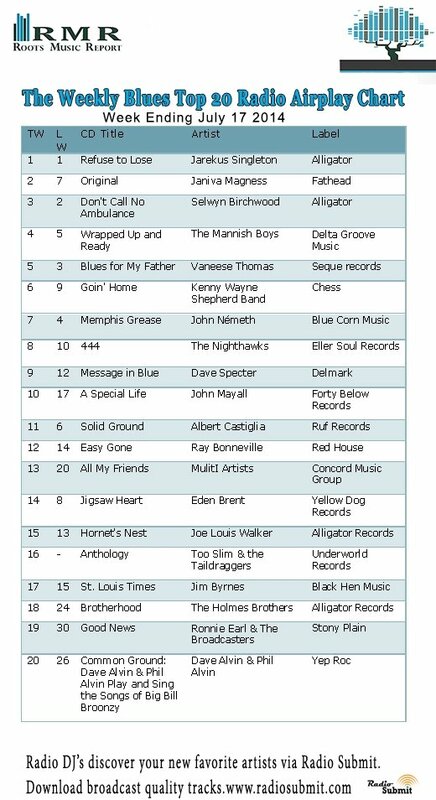 2015 IBC Dates: The 31st (2015) International Blues Challenge will be held January 20-24, 2015 in Downtown Memphis, Tennessee in the Beale Street Historic District. Tickets go on sale around October 1. ~ 2015 BMA Dates: The 36th Blues Music Awards will be held on May 7, 2015 in Memphis TN. BMA voting and tickets will be available on our website around December 15, 2014. Members will be notified via email. 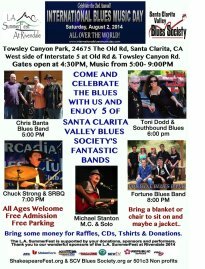 Santa Clarita Blues Society and LA SummerFest at Rivendale officials are planning to host a Blues Festival on Aug. 2. The event is held in honor of International Blues Music Day, which is celebrated all over the world. The location of the event is set for Towsley Canyon Park in Santa Clarita. Gates open at 4:30 p.m. and the music is set to run 5 pm-9 pm. 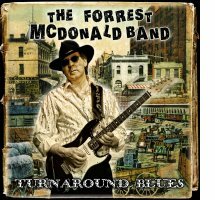 Performances include Michael Stanton, Chris Banta Blues Band, Toni Dodd & Southbound Blues, Chuck Strong & SRBQ and Fortune Blues Band. Food trucks, wine, beer, raffles, CD's and t-shirts will be available for purchase. All ages are welcome to the free event and officials recommend to bring a blanket or folding chair. 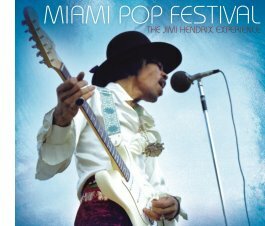 Miami Pop Festival. The Jimi Hendrix Experience, live in Miami, back in 1968. Some recently released Jimi Hendrix! Next time, in the Bluesmobile.